Born in Busto Arsizio (Italy) 26th of August 1938. 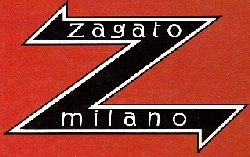 With self taught formation he began to work with Zagato in 1960. Spada had his personal ideas: Aerodynamic,soft and fluent shapes. 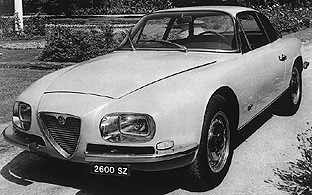 In 1963 he integrated the clipped tail section in the Alfa Romeo Tubolare Zagato (TZ1 and TZ2), both unforgettable racing cars. Alfa Romeo owes this designer a lot of success in the field of light and fast race cars. He influenced Giorgietto Giugiaro, who, inspired by the Alfa Junior Zagato, designed the Alfa Romeo Alfetta GTV and the Alfasud Sprint five years later. Ercole Spada is undeserved a greatly unknown Italian designer. The Carozzeria Zagato is indebted to Spada for its most creative and successful time. In 1969 Spada worked as a free-lancer. From 1970 to 1977 he worked for Ford, Ghia and Audi. From 1977 to 1983 he worked for BMW. In 1983 he came to IDEA.